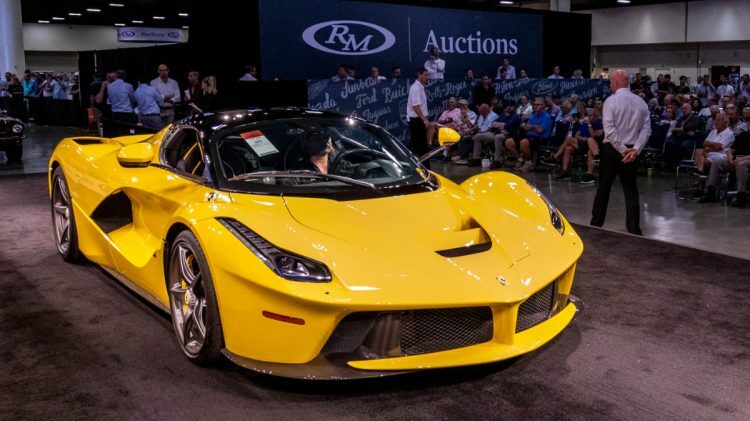 A 2015 Ferrari LaFerrari sold for $3 million as the top result at the RM Auctions Fort Lauderdale 2019 classic car auction. 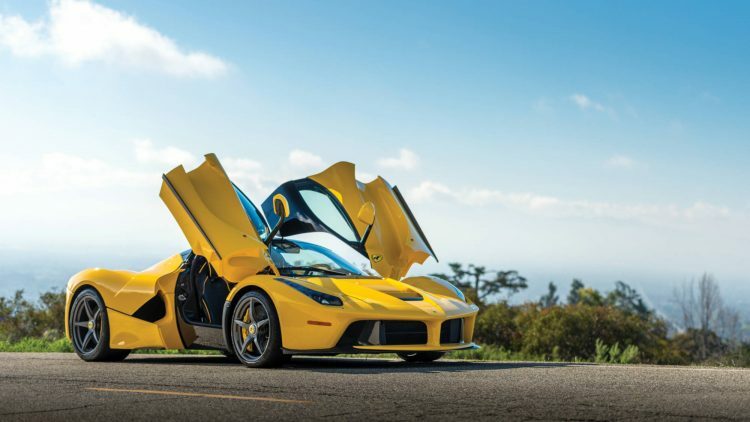 The highest price paid at the RM Auctions Fort Lauderdale 2019 sale was $3,080,000 for a yellow 2015 Ferrari LaFerrari. The 1955 Mercedes-Benz 300 SL Gullwing that belonged to Adam Levine sold for a solid $1,155,000. RM Auctions earned $23.2 million during the two-day collector car auction. RM Auctions scheduled the company’s 17th annual Fort Lauderdale sale for 29-30 March 2019 at the Greater Fort Lauderdale/Broward County Convention Center in Florida, USA. RM Auctions, a division of the RM Sotheby’s Group, achieved the best result in the event’s 17-year history. Total sales across the two-day auction reached more than $23.2 million, with more than 80 percent of the 476 lots on offer finding new homes. 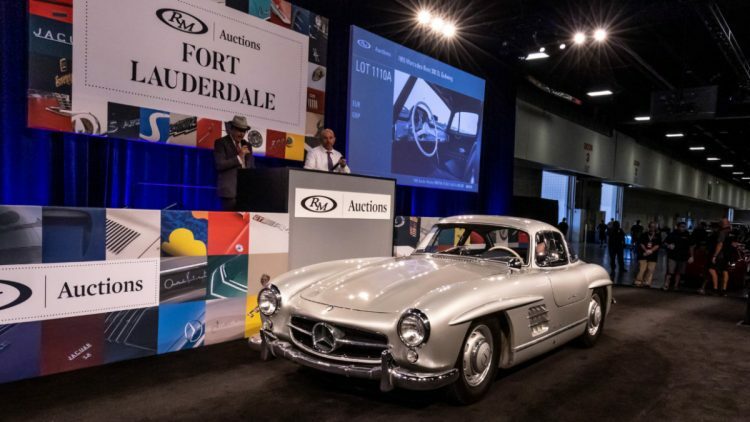 The second highest result of the auction was for a matching-numbers 1955 Mercedes-Benz 300 SL Gullwing offered from significant celebrity ownership, which achieved a final $1,155,000. This Gullwing was sold by Adam Levine. The 2017 Ferrari F12tdf just failed to break the million-dollar mark. Bidding for the 2008 Koenigsegg CCX (Est. $950,000 – $1,200,000) ran out of steam with the highest bid of $875,000 not accepted. Additional highlights across the Fort Lauderdale auction included continued rising interest in modern and emerging collectibles. A 1998 Lamborghini Diablo SV Monterey Edition, the final example of just 20 built, sold for $258,500 following an extended bidding competition, exceeding its pre-sale estimate of $200,000-$225,000 (offered without reserve). A 2010 Ferrari California, presented in Grigio Alloy with Bordeaux Daytona-style seats, also offered without reserve, sold for a final $115,500, with a portion of proceeds to benefit The Boys & Girls Club of Broward County, an organization near and dear to the RM Auctions team. A selection of cars offered from the much-buzzed-about Youngtimer Collection also continued to draw tremendous interest in Fort Lauderdale, which many of the 19 lots exceeding pre-sale expectations. Highlights include a very well-preserved, 3,000-mile 1991 Nissan 300ZX Twin Turbo, which reached a final $66,000 (est. $30/40k, offered without reserve) to set a new record for the model at auction. A six-speed 2009 Aston Martin DBS also smashed pre-sale estimates at $121,000 (est. $80/100k), while a 1994 Bentley Touring Limousine reached $71,500 (est. $30/40k, offered without reserve). The remaining 85 motor cars from the Youngtimer Collection will be offered at RM Sotheby’s upcoming inaugural German sale, set for 11-12 April at the Techno Classica Essen show. Additional private collections offered without reserve also achieved strong results in Fort Lauderdale, with a 1953 Hudson Hornet Sedan offered from a Private Swiss Collection and formerly owned by Steve McQueen bringing $165,000 and a 1948 Buick Roadmaster Convertible offered from the Richard L. Burdick Collection bringing $99,000 (est. $65/85k). RM Auctions Fort Lauderdale sale also played host to RADwood at RM Auctions, the first-ever South Florida event for the car show that presents the best of the 80s and 90s automotive lifestyle. The event saw a curated group of cars at the Broward County Convention Center, including such rad rarities as a 3500-mile, six-speed 1998 Toyota Supra, a 1986 Lamborghini “Downdraft” Countach, one of three in Rosso Speciale, a 1989 RUF RCT Evo, and a 1989 Mercedes-Benz 560 SEC AMG 6.0 Wide-Body with a quad-cam motor and Recaro interior.